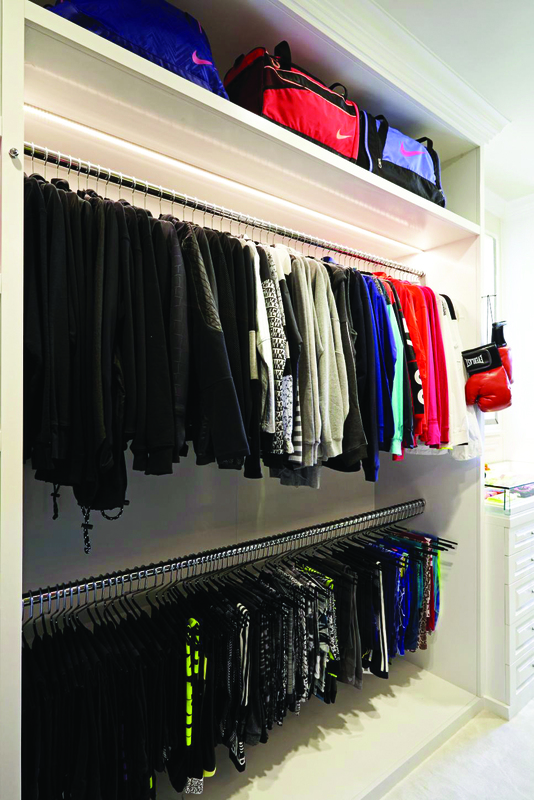 Designing closets may seem glamorous, but truth be told there’s plenty of work that goes into them, including measuring and calculating things like the appropriate hanging heights and drawer depths. I’m fortunate that my education has greatly helped me in this industry, especially when it comes to the numbers. Creating closets requires calculations...lots of calculations. So, I wanted to share a few industry secrets about how to maximize your closet by using proper measurements. To ensure items don’t getting lost in the bottom of a pile, don’t stack items more than six deep! The moment they're starting to creep above six, it's time to start a new stack. The shallower the drawers, the easier it is to see everything at first glance -- and who doesn’t want that?! If drawers are too deep, things are likely to get lost in the bottom of the drawer; and if you can't find it, you won't wear it. I try to maintain hanging depths of 24" in all my clients' closets. Anything more and you risk not being able to see everything. Anything less and it will feel cramped, and hangers stick out past the cabinets. Often, these trusty storage space are too high or too low! Aim for waist high if you want to use them most effectively. Always hang items at an appropriate reach height. Rods should be placed according to the size of that actual clothing, as well as your individual reach. This obviously depends on your height, so be sure to measure what’s most comfortable for you! TIP: Measure from the floor to the base of the hanger to determine how high to place your top hanging rod, where you can still reach!